Marijuana sales in Colorado topped $1 billion last year. That may have triggered an upswing in the sale of another product: synthetic urine, which helps users fool employers and parole officers in drug tests. Colorado representatives are concerned about the fraudulent use of synthetic urine and aim to ban the substance in the state. Representatives plan to sponsor a bill in the legislature to outlaw the possession or sale of fake urine, making Colorado the first state to both legalize recreational marijuana and ban the common substance used to mask its presence. 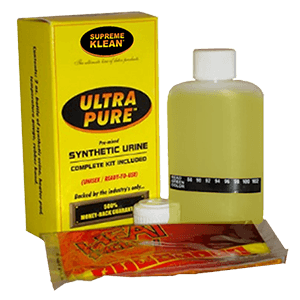 Synthetic urine has been made since the 19th century, when a German chemist figured out how to create its major organic component, urea, in the lab. Urea is one of the most common synthesized products in the world. It’s used in fertilizer, de-icer, hair conditioners, body lotions, glue, tape and thousands of other consumer and commercial products. Fake urine is a growing problem for probation officers who require parolees to submit urine for drug tests. Fake urine is also used by job seekers. Government agencies, retail companies and the healthcare industry, among other employers, routinely require drug tests from their prospective workers, and many rely on relatively inexpensive urine tests for those drug screens. The most common urine test looks for five substances: THC (the active ingredient in marijuana), amphetamines (speed or meth), cocaine, opiates (heroin, morphine, codeine), and Phencyclidine (PHP or angel dust). In Colorado, marijuana has been legal for use by anyone over 21 for four years this month. But under Amendment 64, which legalized recreational marijuana, employers are still allowed to test for on-the-job marijuana use. Case law also gives employers the right to fire workers when THC is detected. Consumers take the bottle with them to the lab, careful to conceal it, and warm it up to body temperature. Most kits come with a way to indicate when it’s in the range of acceptable temperatures for a test. Then consumers put the fake urine in the specimen bottle, and they’re done. Unless, of course, they’re caught for giving a specimen that’s too hot or too cold, and flunk the test. Using synthetic urine on a drug test is fraud and, in the case of parolees, can put them back behind bars.